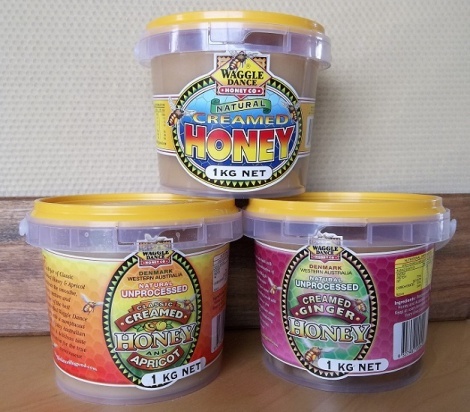 Waggle Dance handmade creamed honey is made using traditional methods, without whipping ensuring the smoothest, creamiest texture and flavour you are ever likely to experience. Yum! Creamed Honey & Apricot combines a sumptuous splash of juicy Australian apricots with our handmade creamed honey.